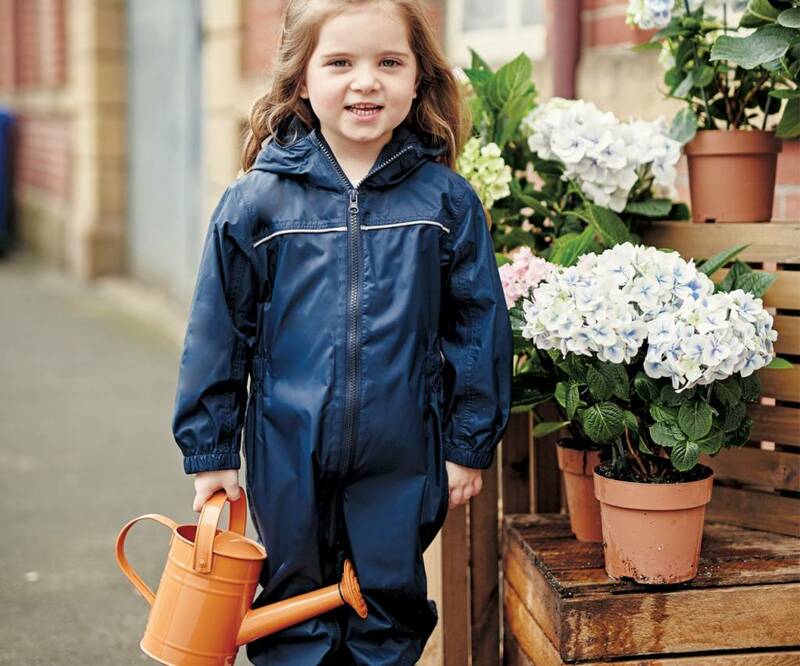 Wonderfully comfortable breathable and lightweight children's rain suit from one piece. 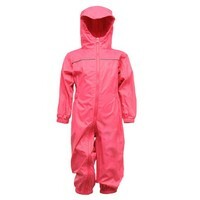 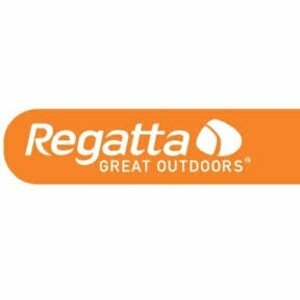 This rain coverall for your toddler or toddler of quality brand Regatta provides hours of rain and mud fun! 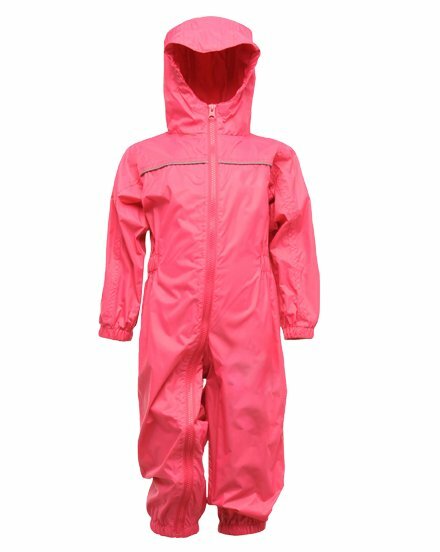 The suits are available for babies from 6-12 months up to the infant age. 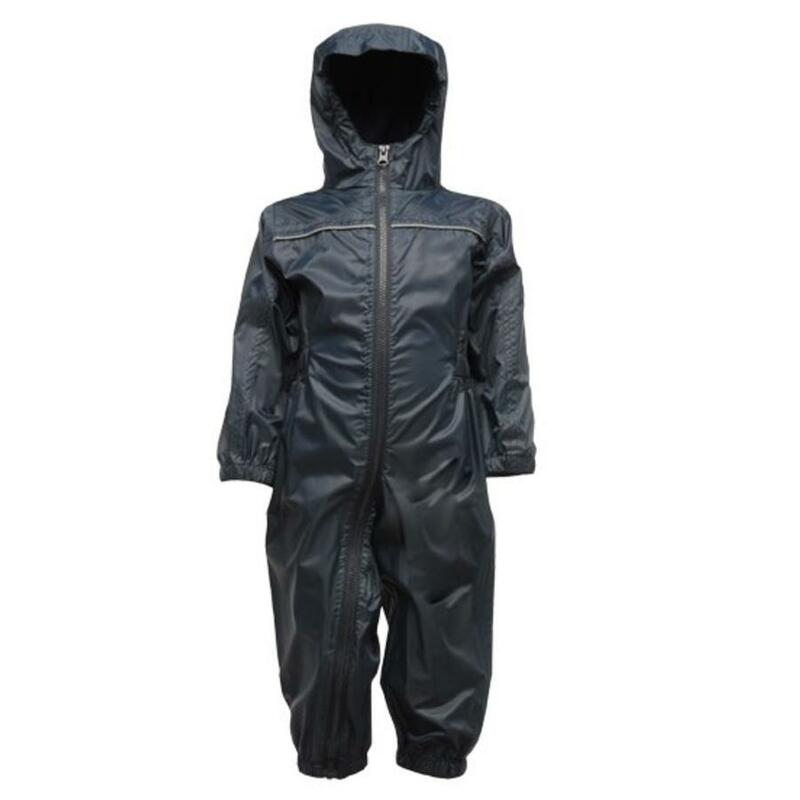 The Paddle rain suit is lightweight, folds small, has taped seams and is completely waterproof and windproof due to the Isolite material used. 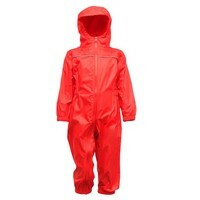 The suit has a fixed hood. 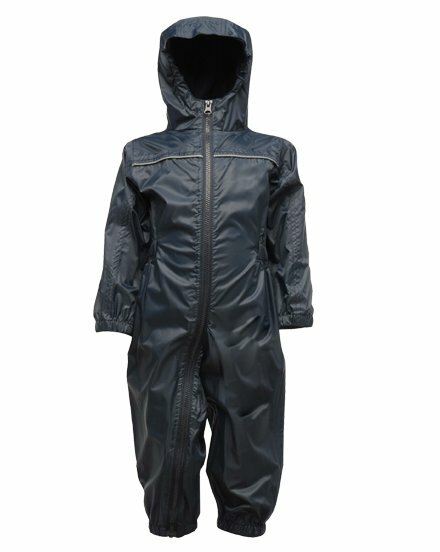 The rain suit consists of one piece and is easy to pull on and off by a zipper over the entire length. 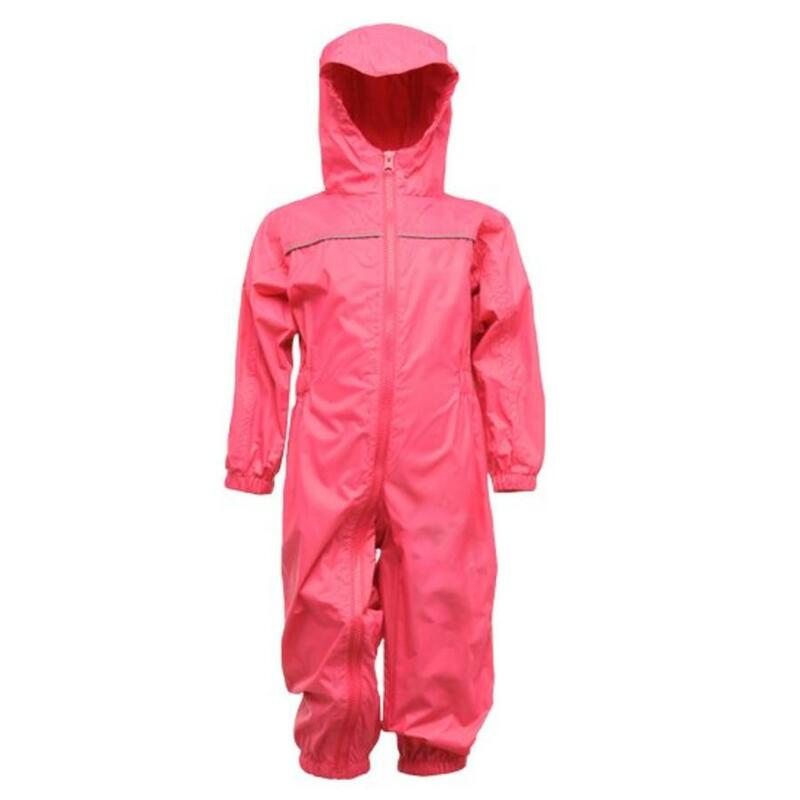 From the chin to the ankle the suit can fully open. 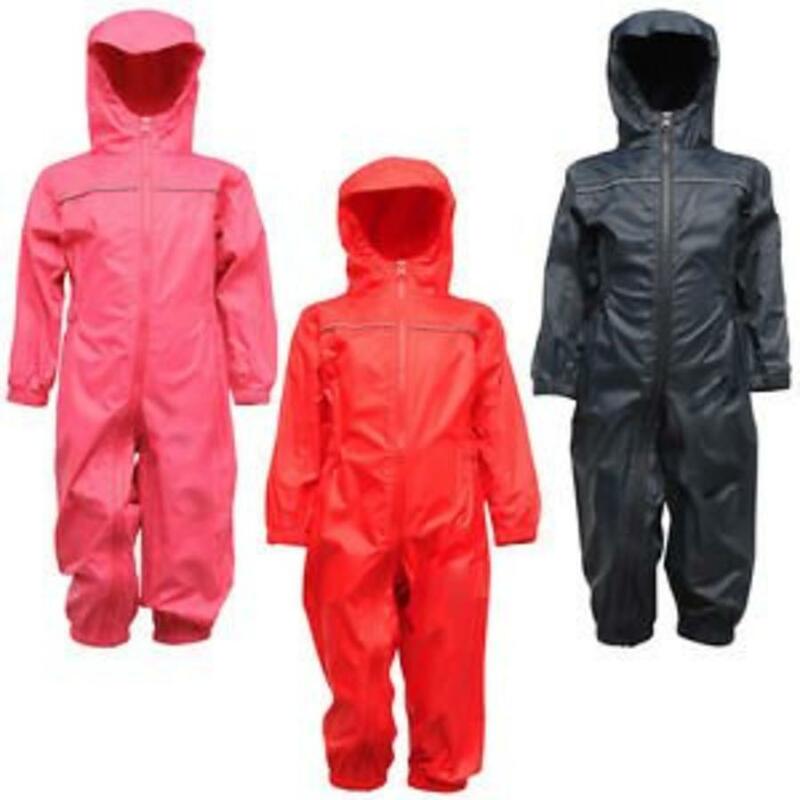 Even the biggest strubblers have their rain suit in no time. 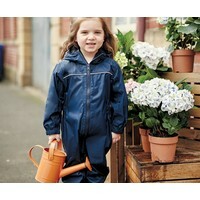 There is elastic in the sleeves and the trouser legs. With the reflective piping on the sleeves, the safety is also in the twilight and the dark. 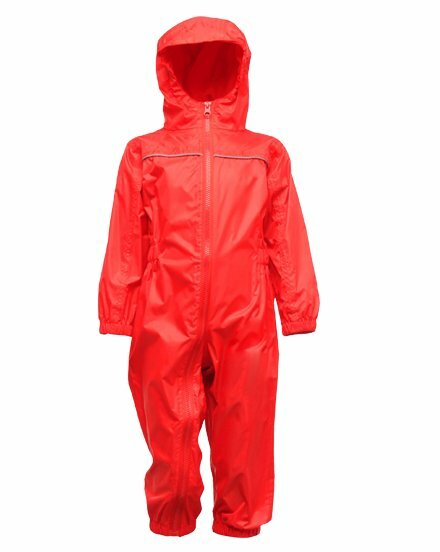 Machine washable at 40 grdn / C.
There are also padded versions available, which can also be used in winter conditions: the lined rain and ski Splosh in the same cheerful color or the Mudplay with animal print and ears on the hood. 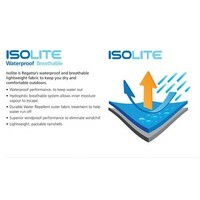 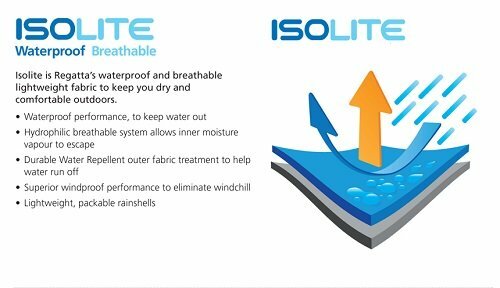 Isolite is Regatta's waterproof and breathable lightweight fabric to keep you dry and comfortable outdoors. 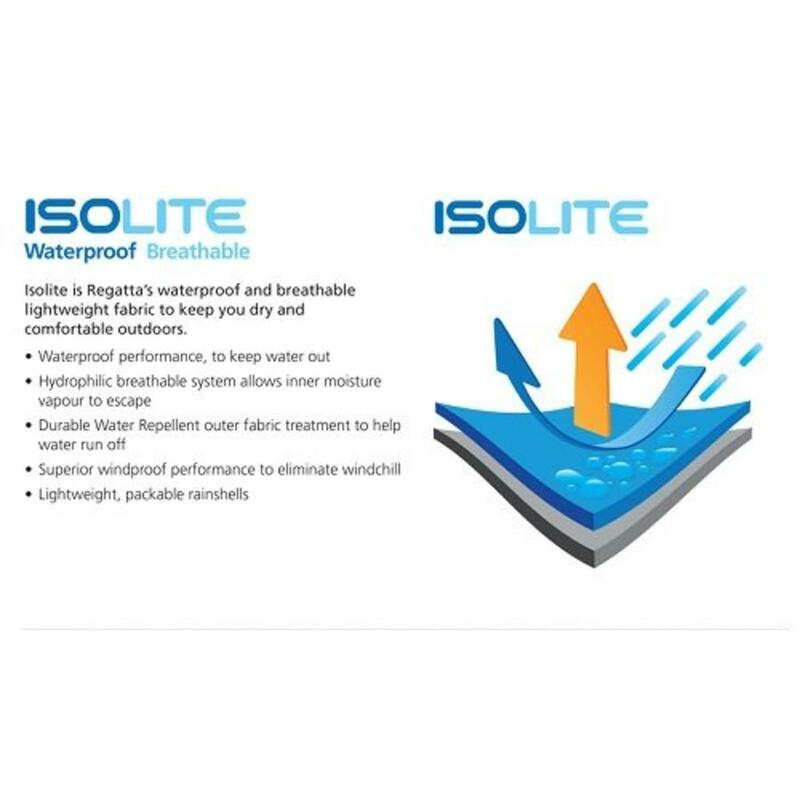 Hydrophilic breathing system releases water vapor from the inside out. 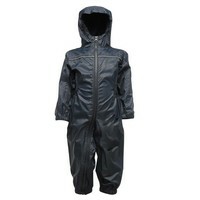 The water- repellent fabric on the outside ensures that the water quickly slides off the suit. 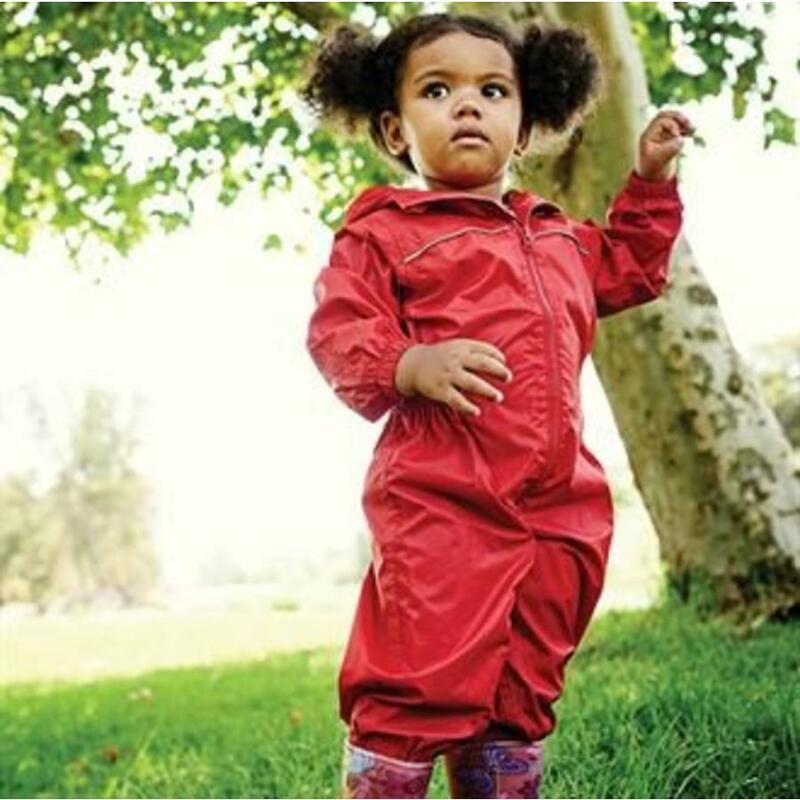 Lightweight , easy to fold up and take with you. If you are also going to use the suits in the colder months with thicker clothing under the suit, we recommend choosing a larger size , especially for children under 2 years of age. They fall on the size / small. 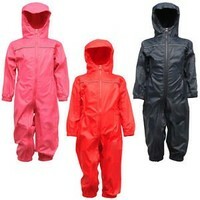 When in doubt, it is best to order one size larger or consult the size chart below.